Fat grafting to the face, (also called: facial augmentation with fat, fat transfer, micro-lipoinjection, facial fat rejuvenation, autologous fat grafting or transfer, or fat injection) is a novel technique that is utilized by Dr. Stanwix at Stanwix Plastic Surgery. Dr. Stanwix performs Fat Transfer on a nearly daily basis. It is performed as an adjunct to other facial rejuvenation procedures (such as a facelift or eye lift) or on its own. Are you thinking about an implant to your face (chin or cheeks)? You do NOT need one. Fat transfer is cosmetically better, more natural, scarless, and lasts forever without the problem of hard, unnatural implants. Dr. Stanwix never performs facial implants anymore. They are obsolete! Are you thinking about a facelft? You may NOT need one. Fat transfer to the face in vaious areas, along with advanced liposuction and other "scarless" thechniques, can nearly create the results of a facelift. It oftentimes can be performed without anesthesia and is a natural, "scarless", and long lasting technique that Dr. Stanwix is world reknown for. It is safer, less downtime, costs less, and works amazingly! Do you get Fillers (Juvaderm, Restalyn, Sculptra, Voluma) every nine months, or are thinking about starting? Do you hate the cost of it, short acting nature, and its average results? You will never need that again! Fat transfer to the face lasts a lifetime and creates better results than any Filler (Juvaderm, Restalyn, Sculptra, Voluma) ever could. It is natural, "scarless", can be done without anesthesia, costs less, lasts decades, and the results are exceptional. You will never need Fillers (Juvaderm, Restalyn, Sculptra, Voluma) ever again! Fat grafting takes fat from one area of your body, and then transfers it to the face through a very small syringe as microfat particles. It is commonly used in the lips, the folds that go from the corners of the mouth to the nose, the under-eye areas, and the cheeks. By a certain preparation technique used by Dr. Stanwix, the fat is transferred along with its natural unique stem cells to the face. By doing so, it adds volume to areas of the face deflated over time, and helps contour a more round, youthful, and natural appearance. As an injectable filler, your own fat is almost perfect. It is soft and feels natural, it does not cause immune problems, and you already have some! The fat is harvested from some other spot on your body, such as you abdomen, and can be a by-product, if you will, of liposuction. Dr. Stanwix at Stanwix Plastic Surgery uses it as a great minimally invasive approach to rejuvenate the face and restore a youthful volume. Oftentimes it can replace a facelift in a "scarless" & "minimally invasive" approach to a younger and fuller looking face! Contact Dr. Stanwix today about this non-surgical facelift (no anesthesia!) that lasts a lifetime! Am I a Candidate for Fat Grafting? Fat grafting surgery can be performed on almost ALL individuals who have specific issues with the shape, volume or configuration of their face. Facial ageing always includes a loss of volume in the face, and thus all individuals can use additional corrective volume to some degree. Before you decide to have surgery, think carefully about your expectations and discuss them with Dr. Stanwix. In your initial consultation, Dr. Stanwix at Stanwix Plastic Surgery will evaluate your face, including the skin and underlying bone, its shape, and how much volume you need. Dr. Stanwix will discuss your goals for the surgery and whether you are a candidate for facial fat augmentation. When you decide to have facial fat augmentation, Dr. Stanwix will explain his technique, the anesthesia they will use, the facility where the surgery will be performed, the risks, and costs involved. Do not hesitate to ask any questions you may have, especially those regarding your expectations and concerns about the results. 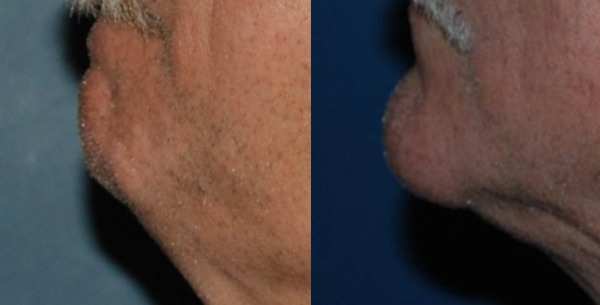 Fat grafting is done on an outpatient basis. Dr. Stanwix always calls each patient personally at night to ensure their safety and see how they are feeling. Dr. Stanwix performs procedures in the safest method for their patients. He performs facial fat grafting surgery under local anesthesia, with “twilight” anesthesia, or general anesthesia to minimize discomfort and provide for the safest and best surgical environment. Because fat grafting is minimally invasive, ask Dr. Stanwix about "awake" surgery without the need for any anesthesia and avoiding its risks. Facial fat augmentation takes Dr. Stanwix differing times depending on the extent, intricacy, and plan of surgery. It can take as little as thirty minutes to over a couple of hours to safely perform the procedure. 9. Fat grafting can also be used to help fill in scars on the face and has been used on the buttocks and hips and the sternum. 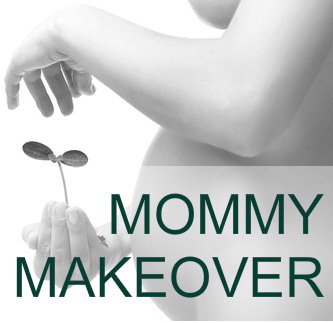 This procedure involves both a donor site (where the fat is taken from) and the treatment site (where it is being put). Usually, the donor site will be the buttocks, abdomen, or outer thighs. If you are having liposuction for body contouring, the fat taken for the face will be performed first prior to the large volume of the liposuction. The first part of the surgery starts with Dr. Stanwix infiltrating some fluid into the donor site area. This fluid contains a medication to help decrease the risk of bleeding and also houses a numbing medicine. Dr. Stanwix removes the fat with small syringes and cannulas. The fat is then treated to remove blood and other fluid and any damaged fat cells. Usually this is achieved in a centrifuge or treated in some other way to remove excess fluids and separate out damaged fat cells. Whole healthy fat cells are best for reimplantation. The fat (which looks like a yellowish liquid in the syringe) is then injected using a separate smaller hypodermic needle in the face. Dr. Stanwix uses small puncture sites at inconspicuous areas to inject the fat to the designated facial areas. The puncture sites are no bigger than getting blood draws on your arm. These small sites heal well with no signs of any surgery and usually do not even need a stitch! There will be no dressings on the surgical area, but a thin layer of antibiotic ointment may have been applied. After the procedure, Dr. Stanwix will bring you to the recovery room where you will be monitored until you are ready to be released. Most people are released about 2 hours after the procedure is finished. Your face may feel tight and quite tender as the anesthesia wears off and your donor site may be sore as well. You will need to be driven home by a responsible adult because you will not be able to drive yourself home. Dr. Stanwix has noticed that most patients do not have much pain or discomfort, but you will be given appropriate pain medicine to lessen the discomfort. However, if you believe your pain to be out of the ordinary once you get home, call Dr. Stanwix immediately. After surgery, it is of the upmost importance to keep your head elevated. You will need to sleep sitting up in a chair or with multiple pillows for the first 3 days. There will be no dressing applied to the surgical sites, but a thin layer of antibiotic ointment twice daily can help with the healing process. Applying ice to your face during this time can also alleviate some of the pain and swelling. You may shower the day after surgery and clean your small sites from surgery. You will be seen by Dr. Stanwix at Stanwix Plastic Surgery in the office the following week to see your results and assure that you are progressing in a normal fashion. Keep in mind, however, that there is still a lot of swelling in the face and the finally result will not be fully seen for three to six months. When fat augmentation to the face is performed by a qualified plastic surgeon, complications are infrequent and usually minor. The main risk of the surgery is the amount of fat that survives. There is about 20% of the fat or more that the body just naturally absorbs. One thing to remember is that every individual heals differently, and some will absorb more fat than others. However, the fat that is taken up in the face and rebuilds the volume will last forever! Dr. Stanwix instructs you how to reduce your risks of complications before surgery and will provide you with a full set of instructions after surgery as well. Fat grafting has little downtime from an activity and energy standpoint. The night after surgery and the following day you may feel a bit tired and not yourself. However you will quickly feel back to your usual self within the first DAYS after surgery. Although you may feel well that first week, you will still be very swollen and possibly have bruising that will be visible when you go out in public. Dr. Stanwix will give more specific guidelines for gradually resuming your normal activities. Most of the swelling decreases and absorption of some fat will take place in the first 6 weeks to 3 months, however, a small percentage will gradually take a full year to occur. You will be excited with the transition and new shape of your face. You will love the additional volume and contour; it will place you back to a more youthful appearance! Call Dr. Stanwix today to schedule your consulation.